This Bullwhip model is outfitted with a partially serrated stonewash blade and a sharkskin gray anodized aluminum handle. The HTM Bullwhip was designed by Greg Lightfoot for sophisticated everyday carry. 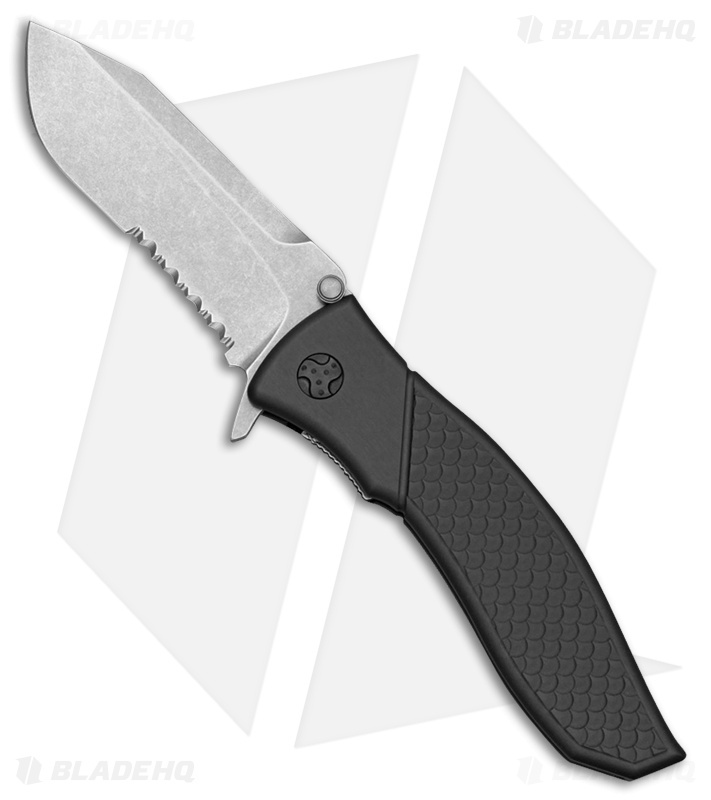 This version of the Bullwhip is a manual liner lock folder. The recurve blade is stonewashed 154-CM steel with the HTM and Lightfoot logos on the front face. It has a Type III hard anodized aluminum handle with a fish scale textured front and a reversible right-hand carry pocket clip on back. The HTM Bullwhip will provide a perfect EDC or tactical carry item.